On Tuesday 13th December Year 10 students from Holsworthy Community College had an exciting day at the Eden Project. 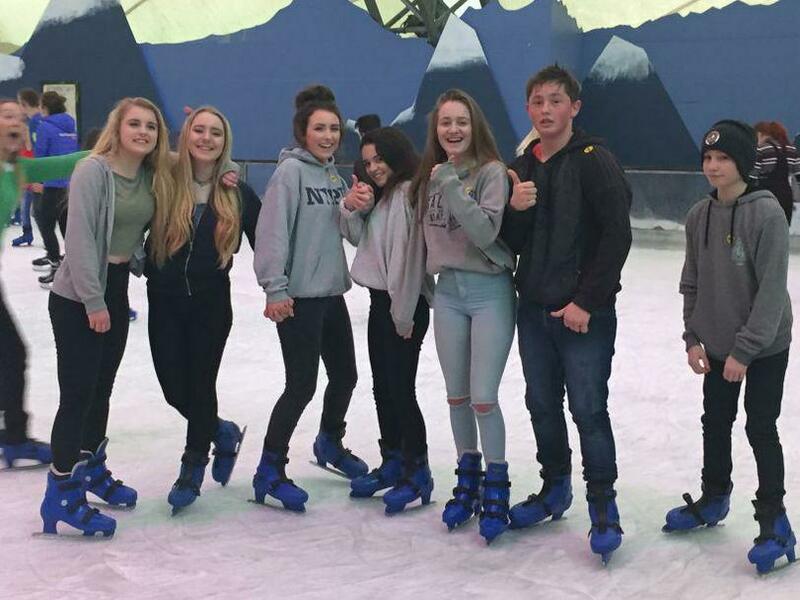 The first hour at Eden was a fun ice skating session which we are very pleased to report that all pupils participated in. "It was really good fun; I enjoyed it!" Lewis Ross. The skating rink was beautifully decorated and got everyone in the Christmas spirit! The students were good sports trying really hard to stay upright on the skating rink—it was very funny to watch as lots fell over—time and time again! 10 out of 10 for effort, perseverance and courage! We then had an introductory talk and lecture by Eden staff on the Eden Project and recycling across the globe. The afternoon consisted of two sessions in the Mediterranean and Tropical Biomes following an orienteering trail and completing a booklet about biology to enhance the KS4 curriculum. Thanks to Mrs Godwin and Mr Jenkinson for organising this amazing experience for Year 10 and to Mrs Malpass, Mr Bulut and Miss Little for their fabulous ice skating! Also to Mrs Heard, Mr Baldwin, Mrs Gist and Mrs Lovegrove for being very supportive team leaders whilst exploring the dome. The feedback from both Eden staff and the Hills bus drivers were that our Year 10 pupils displayed exemplary behaviour.